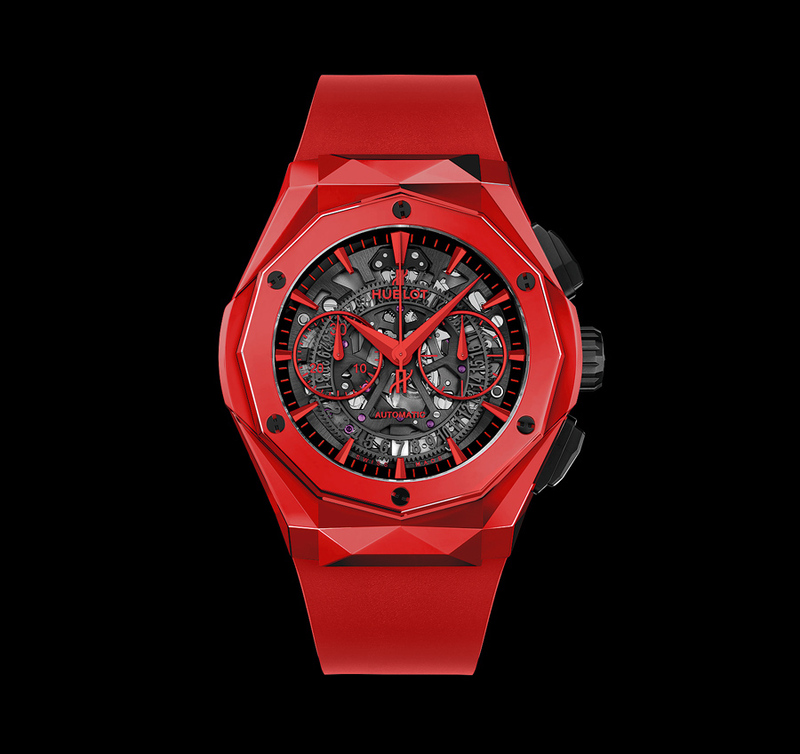 Not so long ago we’ve told you about the most interesting black watches for men but today we will talk about red watches. 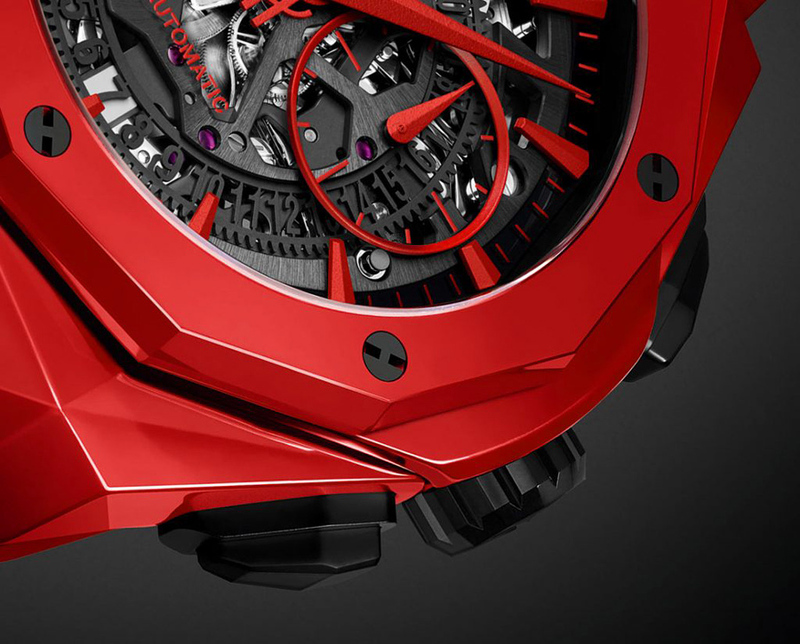 Aggressively red watches by Hublot. This is incredibly beautiful chronograph of limited edition with price tag $24,100. Hublot has recently teamed up with French fine artist Richard Orlinski to raise the bar in the luxury watch industry by releasing the first ever colorful ceramic watch, breaking the classic pattern of black, white and grey. It’s a beautiful, highly polished and saturated all red ceramic watch called Hublot Classic Fusion Chronograph Orlinski that’s ready to take over the world. 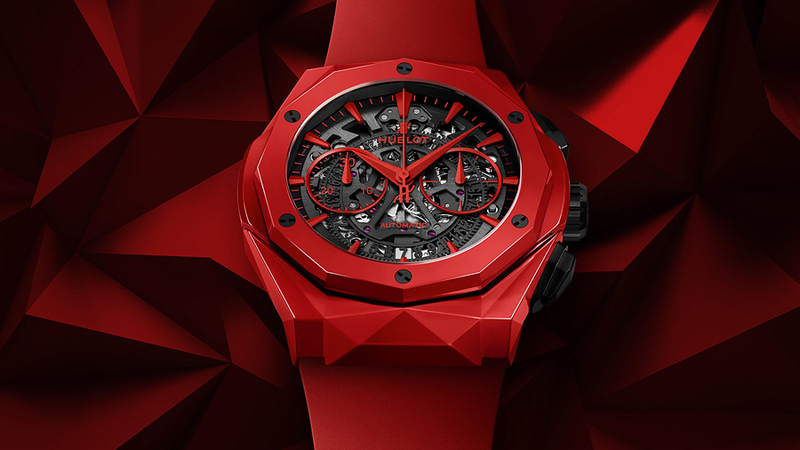 The design combines the pattern of sharp three dimensional structures found in Orlinski’s work and adapted to Hublot’s methods, with gem-like cases and many polished planes and deep lines of red ceramic. 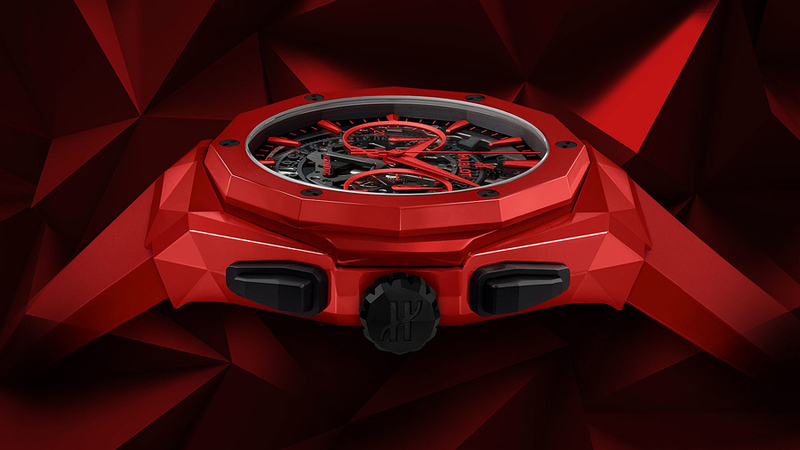 The backside of the case will feature the same red ceramic as the rest of the watch, with a sapphire window to display the movement in all its grace. 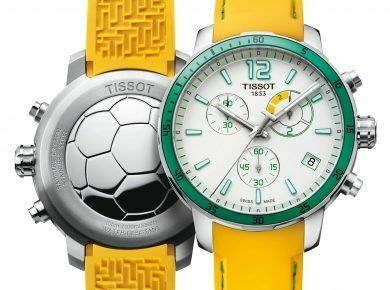 The watch will come with a red rubber strap to keep everything in tone with the rest of timekeeping piece. The Hublot Classic Fusion Chronograph Orlinski Watch will be a limited edition, with only 200 pieces to be made and a cool price tag of $24,100.